Minister for trade, tourism and investment Steven Ciobo announces new fund for promotion of Australian MICE industry. A dedicated fund providing AUD$12million (£6.6m) over three years to attract more global conferences, conventions and exhibitions to Australia has been established. Steven Ciobo, the minister for trade, tourism and investment, announced the fund at the Destination Australia Conference. 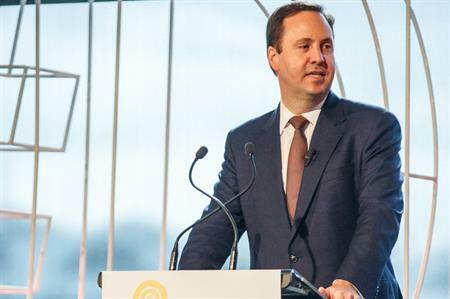 "In the increasingly competitive global world of business events, we recognise that more needs to be done to ensure that Australia maintains a competitive edge against other international destinations," said Ciobo. "Australia’s natural beauty, safety and stability provides the perfect base to build a thriving business events sector. I am confident that this new bid fund will help ensure Australia remains top of the pack in terms of consideration for international incentive and association events." The ‘Boosting Business Events Bid Fund’ will offer financial support to help secure events that will bring economic benefits to Australia. The funds will go towards covering costs associated with the delivery of an event within Australia, ensuring every dollar goes back into the Australian economy and supports local jobs. Research by Tourism Australia shows a high number of people aspire to visit Australia but don’t book a trip. It is hoped that hosting more conferences, conventions and exhibitions will help convert people from aspiring to actually visiting Australia.